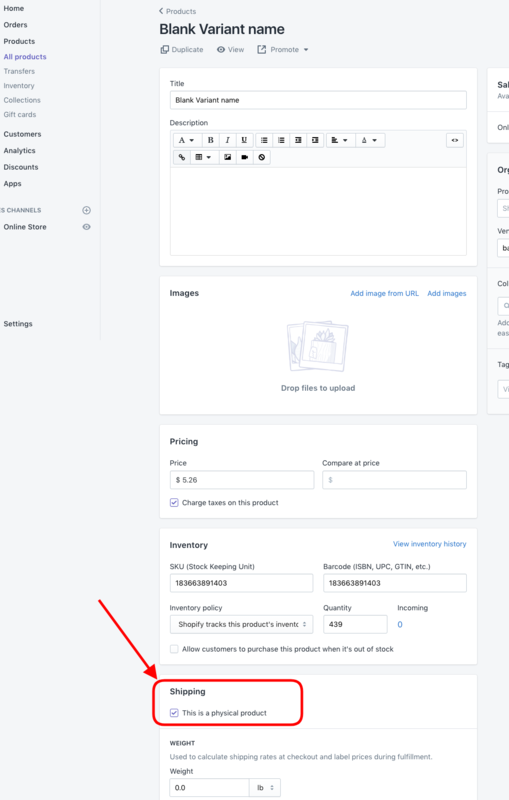 NOTE: This only applies to users who are on the new product page Beta, for users on the regular view, click here for your guide. Shopify, Square, Clover, and PayPal Here do NOT support dimension data. You can still fill it in, but just be aware that only Shopventory will have the data. Square, Clover, and PayPal Here do NOT support weight data. You can still fill it in, but just be aware that only Shopventory will have the data.